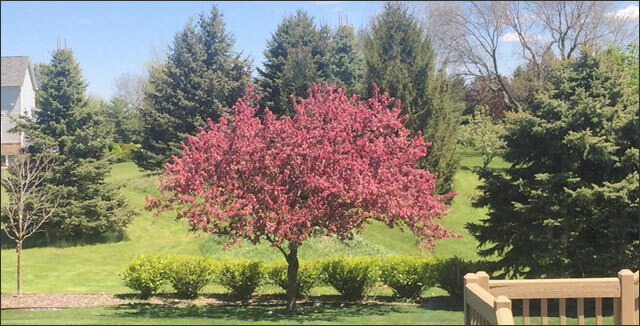 Last updated: April 9, 2019 by Rootwell Products Inc.
Take a minute to think about the trees in your yard or neighborhood. What’s one of the main things that make a community desirable and beautiful? Even the most densely packed urban or suburban areas have some trees. They are one of nature’s most gracious phenomenons as they live so long. One good tree can provide shade and shelter for your house and hours of fun and entertainment for your kids. Not to mention how trees scrub our air and give us shade and shelter. Trees are also very low-maintenance. All trees have root systems that dig as far down as the tree is tall and spread out as wide as the tree’s canopy is above ground. Therefore, they can reach water from under the ground that other plants can’t get. Their towering crown of leaves means they are often first to gobble up the sunshine before any of their shorter companions. However, what if a tree gets sick? What if you don’t know what to do for your tree? Most of us don’t have training as arborists. Because trees are so hardy, not many of us know what to look for in a sick tree. This could end up being disastrous if a dead tree ends up falling on your house. Infected trees can also pass diseases on to the other trees nearby. You don’t want to end up with an empty yard. So, let’s review some signs your tree might be sick or dying. Then, let’s talk about what you can do to help your tree if you determine it does need help. An otherwise healthy tree might be at risk because of structural problems arising from severe storms or poor pruning habits. You’ve probably seen trees like this; they are leaning at an angle or have grown in an odd way. If you are noticing excessive leaf dropping in the spring or summer, your tree is likely sick. Likewise, if you see leaves that are discolored or shriveled but still attached, this is another symptom of tree sickness. Sick trees will drop branches. This is different from branches that may be blown off in a storm. If you inspect these fallen branches, they are probably bare and have some kind of insect or fungal damage. Cracks or holes in a tree – like an owl’s hole from a kid’s story – can be signs of a sick and dying tree. Weak joints where branches attach to the tree are trouble for a tree. If the limbs don’t look like they’re solid, this can be caused by branches growing too close together. Weak branches can fall at any time. Healthy trees have soft and pliable bark that has uniform coverage. Sick trees have brittle bark that is flaking off. If your tree has bald spots or cankers – which are areas of dead bark – it means your tree is stressed. These symptoms can be caused by bacterial or fungal infection through an open wound (peeling the bark off your tree or making cuts in it is a sure way to introduce an infection). If you fear your tree is not getting good enough drainage or if its roots are being damaged by lawn mowers and other vehicles every week, it could put the whole tree at risk of dying. Fungus and wood ears are signs of your tree’s root system in distress. 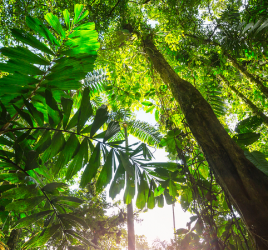 While there are ways to help try to save a dying tree, the best way is to keep your sick from being injured or getting sick in the first place. Keep your trees in mind while doing yard work and avoid giving them wounds, which are like wounds you or I would get: they attract infection. Keep your trees needs in mind when landscaping. Don’t over mulch around the tree. However, leave some space between your tree and the mulch so it can absorb what it needs. If the layer of mulch you have is too thick, thin it out. Exposed roots need extra care, as damaged roots can start to rot and this may be lethal to your tree. You may need to improve the drainage around your tree if it’s continuously waterlogged or water it if you have been experiencing a drought. Learn how to prune your trees the right way to lead to healthy growth and a robust immune system. Additionally, lawn fertilizer can adversely affect your trees. If you are applying it to your lawn, make sure you stay well away from your trees. Trees in urban and some suburban areas can have a particularly hard time getting the water they need. Additionally, newly planted are often watered using a watering bag or drip hose While a drip hose may saturate the surface soil, it does not allow for the water to penetrate deeply into the soil to promote deep root growth. It is critical to provide water deep into the soil to allow your trees to flourish and withstand the test of time. Developing deep tree roots need oxygen. Compacted soil causes roots to grow near the surface to be near the oxygen instead of the roots growing deeply into the soil. Ensure that your tree roots are receiving the proper oxygen deep in the soil to provide you with lush and lavish trees. Your trees require proper nutrients to flourish. 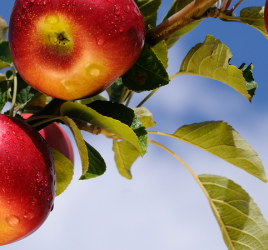 Allowing nutrients to penetrate your trees’ root system will encourage them to live long and full lives. 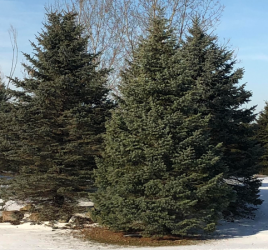 When hot summer days or cold winter nights arrive, your tree’s ability to thrive can be limited without the proper nutrients in order to thrive. 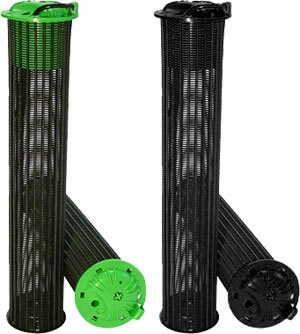 The Rootwell Pro-318 Deep Root System helps trees receive the water, air, and nutrients they need to grow properly. They have been scientifically proven to help trees thrive. 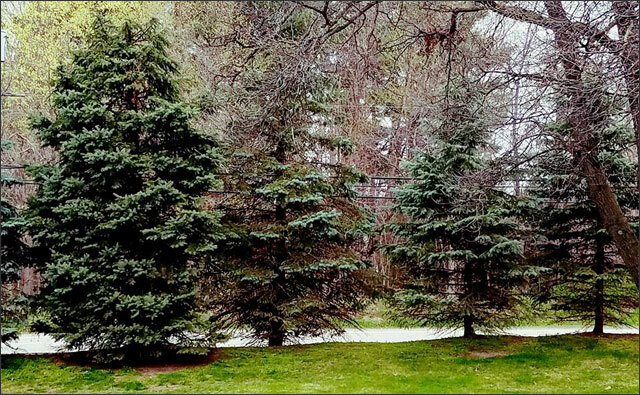 Pine tree on left had Rootwell Pro-318s installed. If you’ve done everything you can think to do and your tree is still sickly, or if you’ve identified what you think is a significant problem and you have no idea how to heal your tree, it’s probably time to call a professional arborist. Unfortunately, arborists often have to do the sad job of cutting down trees that are too sick to stay on your property safely. However, that’s not all they can do. You can even call in an arborist if you don’t have any infected trees, but you want some advice. Arborists can tell you what trees are at risk and let you know about any diseases. They can brace your trees for support and properly spray them with chemicals. In addition, an arborist can teach you how to prune your trees properly, identify which trees you might own that are valuable and could be sold and recommend trees that would be best for your yard. And yes, a professional arborist has the equipment and knowledge to remove a large, dead tree safely. The best way to prevent your trees from getting sick and dying is to pay attention to them and take care of them the way you would any other plant in your yard. To help your trees receive the water, oxygen, and nutrients they need, install a Rootwell Pro-318s Deep Root System. For a seriously sick tree, call a professional arborist for tips and advice.